This picture was contributed by Martin Woolhead. 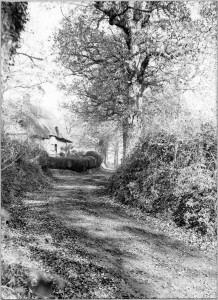 “Picture of houses in Berry End. There was a total of six houses on the bank. 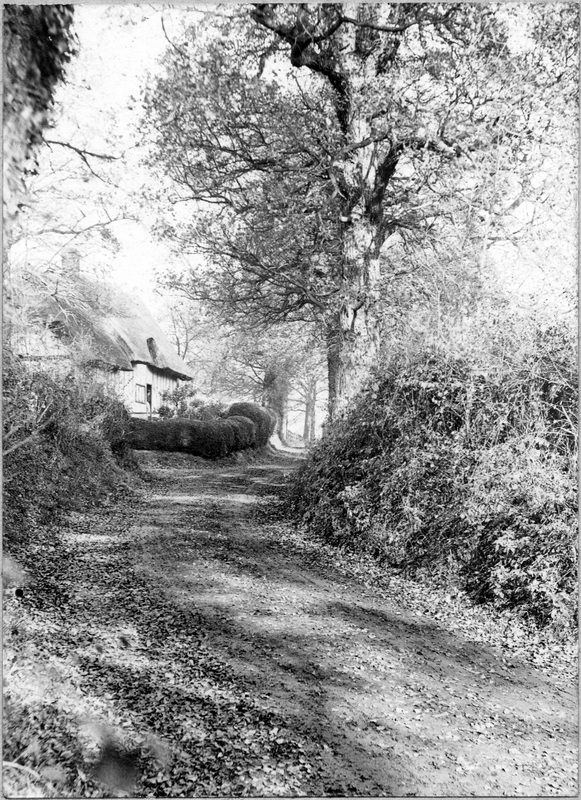 The bend in the road is just before Berry End Farm, as now, but pub called the Black Boot occupied that site. The lady in the doorway (magnifying glass!) is my great grandmother, Granny Keens.” [Click on the photo right to see a much bigger image]. GARDENER (Head, or good single-handed).— Age 30, married; six years in Duke of Bedford’s Gardens, three in present situation. Good characters from both— WH KEEN, Berry End. Eversholt, Woburn, Beds. When were the cottages demolished?